Years of work experience, in Nokia by major part of our employees, formed a solid backbone for our ways of doing things. We can say that common work practices existed in our company from the day one and we already followed a process without having any written one. 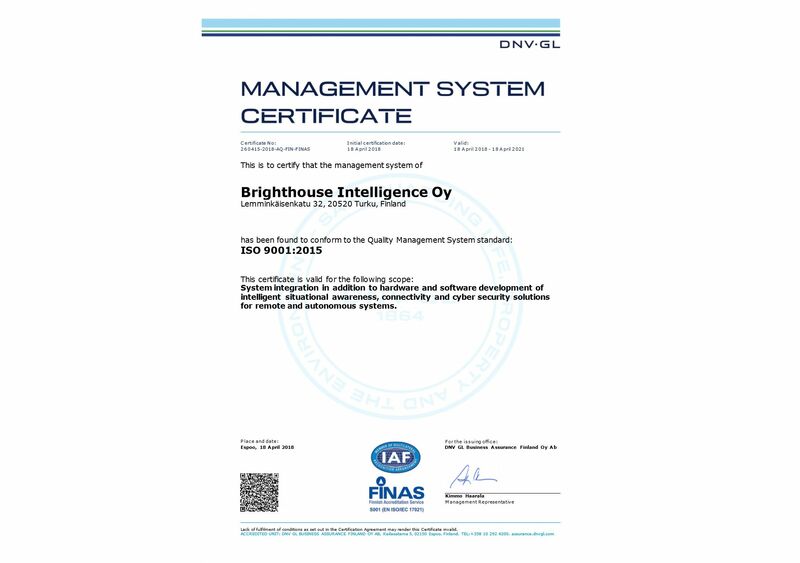 Officially our quality management system has been built up and documented during autumn 2017 and on March 1st 2018 we were audited by DNV-GL. 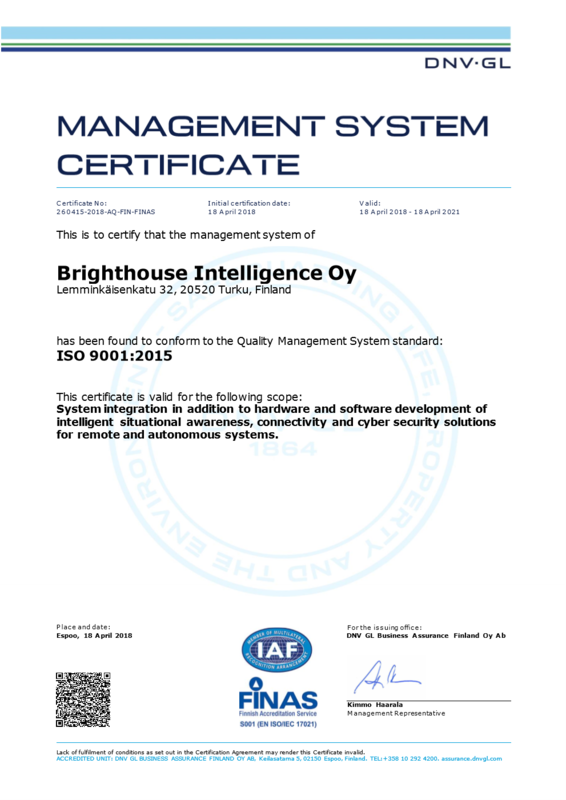 The audit was passed with flying colours and now we are proud owners of the ISO9001 certificate. System integration in addition to hardware and software development of intelligence situational awareness, connectivity and cyber security solutions for remote and autonomous systems.